Hello from beautiful Tulsa, Oklahoma. 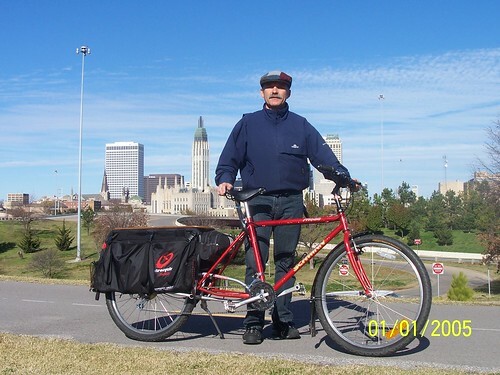 These are some photo's of my Xtracycle/Schwinn, my bikes name is Moab(for obvious reason's). Moab is my main commuter, I ride him to work 16 miles each way, I also ride him to get grub and other sundry's.